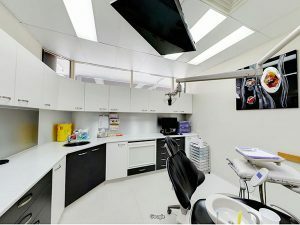 At Prevent Dental Suite, we believe that high-quality dentistry is not a luxury. Our goal is to help you maximise your insurance benefits and make quality dental care affordable by offering NO GAP dental care on some of our basic dental treatments and services. Everyone deserves to smile and get high-quality care at reasonable prices. NO Gap Payment Scheme lets you undergo essential dental treatments with $0 out of pocket expenses! Upon your arrival, our friendly staff will provide a New Patient Form, which you should fill out properly and completely. Your details and medical history are important, as this allows the dentist to treat your specific needs and create the ideal treatment program for you. If the abovementioned conditions are not met, you are obliged to pay the full cost of treatment at the time of your appointment. If your health insurance doesn’t cover the full cost of a certain treatment, you will need to pay the remaining balance. Prevent Dental Suite has a partnership with several health funds. We are preferred providers of HCF, CBHS, NIB, AHM, Defence Health Fund, Australian Unity, CUA, HBF, GMHBA, Police Health, Teachers Health, Queensland Country Health and Transport Health. We also accept emergency Queensland Health Vouchers and other major health funds such as Dentacare and HICAPS. Do you pay your dental insurance premiums every month? We encourage you to take advantage of them and use them to your benefit! Generally, health fund benefits will expire on December 31st, so maximise your benefits before the year ends. In addition, if you happen to have unused health fund benefits from the previous year or this year, they will be lost by the first month of the next year. The benefits reset every year. Most patients do not make full use of their dental benefits because they don’t have a full understanding of how their dental insurance plan really works. If you have questions about your dental insurance coverage, visit us here at Prevent Dental Suite and we will be pleased to help you maximise your benefits. We will work with you and your insurance company to make sure that you use your benefits properly and that they do not go to waste. If you are looking for a No Gap Dentist in Kallangur, Warner, Murrumba Downs, North Lakes, Petrie, Strathpine, Griffin, Mango Hill, Lawnton, Deception Bay, Narangba and surrounding areas in Brisbane northside, call us on (07) 3886 2428 or book your appointment today! Busy during office hours? We are open on Saturdays from 8:30AM to 2:00PM.